Many homes throughout the Denver, NC community are in dire need of new house siding. That being said, few remodeling contractors are knowledgeable or capable of designing and delivering beautiful new home exteriors. 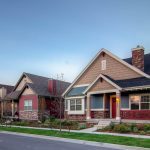 Hatch Homes is Denver, North Carolina’s Top Rated local siding contractor. Our company solely focuses on Hardie Board siding replacement projects. As a James Hardie siding specialist, our company is experienced with installing and replacing Hardieplank to fit any style, home design or budget. Our unique approach to exterior remodeling has led to a direct partnership with the manufacturer of Hardie Board. James Hardie Building Products has certified our company as a Hardieplank installation expert and endorses and recommends our company to all Denver, NC homeowners. To compliment our Hardieplank product line, we also offer Mastic Vinyl Siding, trim and soffit to our customers. Hiring Hatch Homes for your upcoming vinyl siding replacement project offers peace of mind as our company is a certified siding professional through the Vinyl Siding Institute (VSI) and an Elite Preferred member of Mastic Vinyl Siding’s Contractor Program. 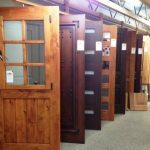 Looking for more than just new house siding? Contact Hatch Homes today for an estimate on window installation and/or replacement of a new roof! 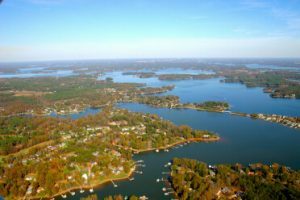 Denver is a beautiful lakeside community on Lake Norman. Resting on the Catawba River, Denver is located near other beautiful Charlotte, North Carolina neighborhoods including Westport, Lowesville, Lucia, Cornelius, Davidson, Sherrills Ford, Mooresville and Huntersville. The town is home to many NASCAR personalities. Formerly named Dry Pond, Denver NC is one of the best cities to live in within the entire Charlotte NC community. Many homes in the area are in desperate need of exterior remodeling services. Interested in working with a siding specialist instead of a remodeling generalist. Call Hatch Homes today to start working on your next remodeling project. The mission of Hatch Homes is to offer a unique customer experience to homeowners seeking an exterior remodeling partner within the Denver, NC community. Many siding contractors present themselves as ‘being different than the others’. At Hatch Homes, we actually are different from the rest. We provide our homeowners with technology prior to the project’s start to help plan color and product selection. Both before and after the project starts, our process provides transparency to our customers so that they know exactly what is being done to their home and why. Want to partner with a siding specialist instead of a remodeling generalist? Call us today to get your renovation project started!